Vince Castle is a fourth generation cane farmer farming sugar cane in the Palmers Channel area of the Harwood Mill (Clarence River). Farming from a very early age Vince has over 60 years’ experience. He has always been a progressive farmer employing the latest growing technologies and playing an active role in the propagation and growing of new varieties. He is actively involved with local R & D committees and has hosted many trial plots on his farm over the years. He supplies, on a regular basis, new variety clean seed to growers. Vince has always taken an active interest in any research projects which are carried out in the NSW industry. With over 60 years farming experience Vince has a great deal of knowledge – his cane farm and the industry are his life. Apart from his extensive farming knowledge he has also played a key role in the industry from the administration side. Vince first began his career in leadership within the industry in 1981 when he was elected to the management committee of the Clarence Sugar Executive (now Clarence Cane Grower’s Association Inc). He has continued on this important committee, which represents grower interests in the Harwood Mill area, continuously up to the present day – some 31 years. He was elected to the position of Vice President in 1990 and took on the role of President in 1998, a position he held to his retirement. As President of this committee there are many roles and sub committees which need to be fulfilled. Vince has been a part of the Cane Assignment and Farm Rating Committee, the Harvesting Tribunal (Chairman) and many committees set up within the local government area representing the interests of the Industry. Vince has also played a large role in the administration of the New South Wales industry being elected to the NSW Cane Grower’s Council (now NSW Cane Growers Association) in 1991. He has served continuously to this date on this committee and was elected Vice President in 1998 and President in 2007. 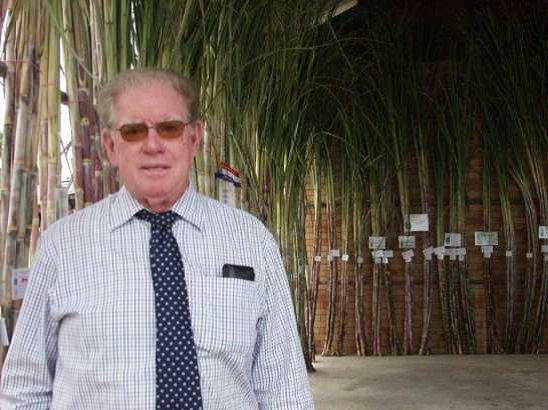 He has also been Vice President of the Australian Cane Grower’s Council since 2007. Vince was the NSW Director on the ACFA Board from 1991 to 1994. As previously stated there have been many committees outside of the canegrower organisation. Many of these are environmentally based and it is important for the cane industry to be represented and have its say to ensure that there are balanced outcomes on these issues. He has been Chairman of the Clarence Floodplain Partnership for many years. This committee brings together stakeholders and makes decisions on how best to handle issues that involve the management of our large floodplain. Other committees include the North Coast Rural Producers Committee, Environment committee of the NSW Cane Industry, Clarence Valley Floodplain Risk Management Committee and various Acid Sulphate Soil Management Committees. Vince is also involved with the NSW Farmers organisation. Vince has been very much involved in the cane harvesting sector. He was elected to the Board of the Palmers Island Cane Grower’s Co-operative in 1978. This co-operative was very progressive and expanded quite rapidly over the next 10 years. His election in 1978 also saw him elected to the position of Chairman that same year, a position he held until his retirement from that Board in 2003. Vince is known for his negotiation skills and having the ability to look both sides of the fence and come up with a balanced solution to most problems in the interest of all parties. There have been many challengers especially in later years when dealing with the Roads Authority and the upgrade of the Pacific Highway through NSW cane lands. After all these years Vince plans to retire from his administrative roles this year however will continue his active life on the farm and will keep a close eye on how things are handled in the future.